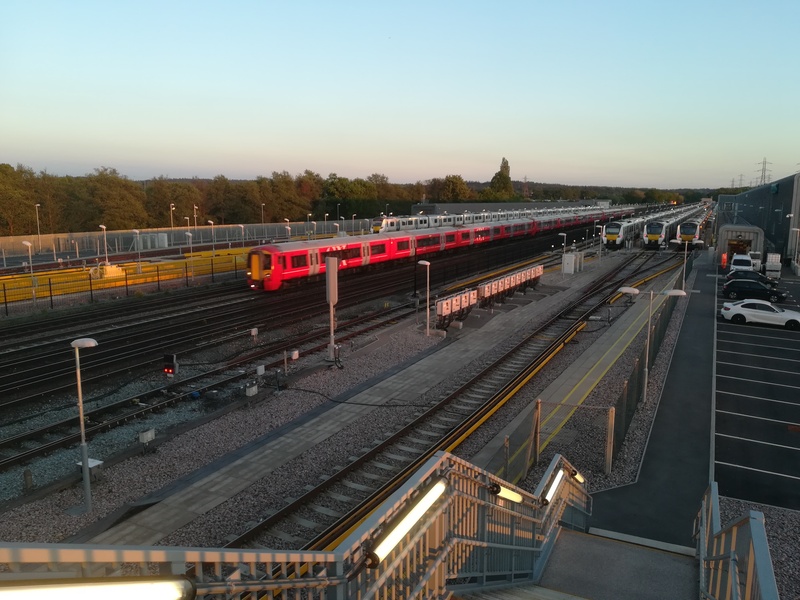 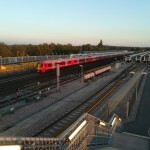 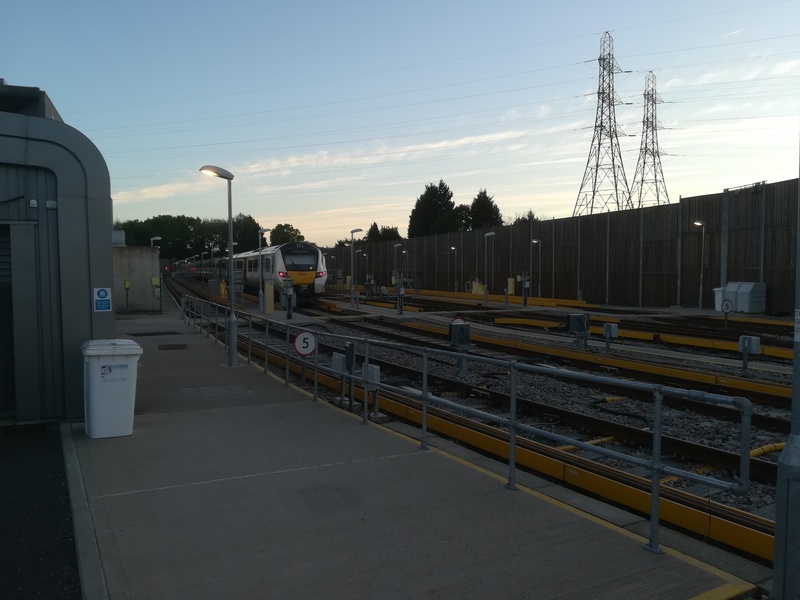 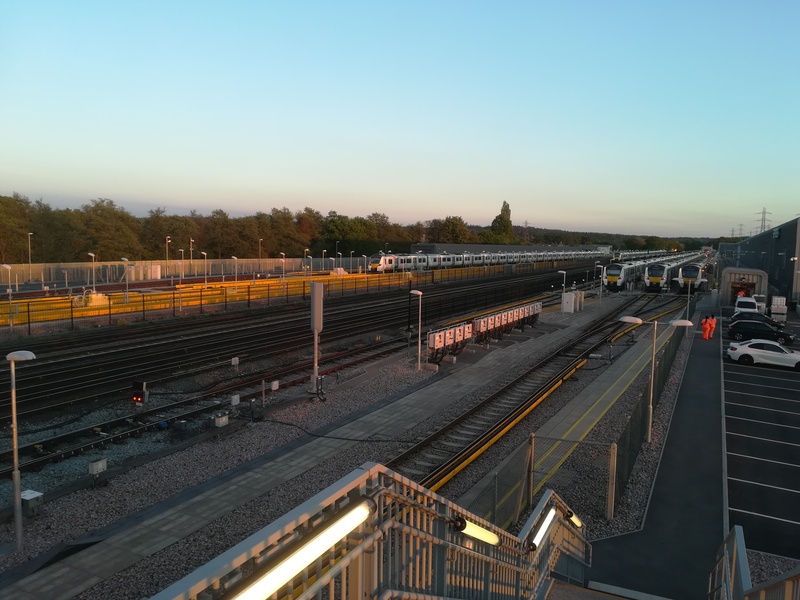 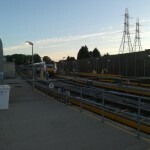 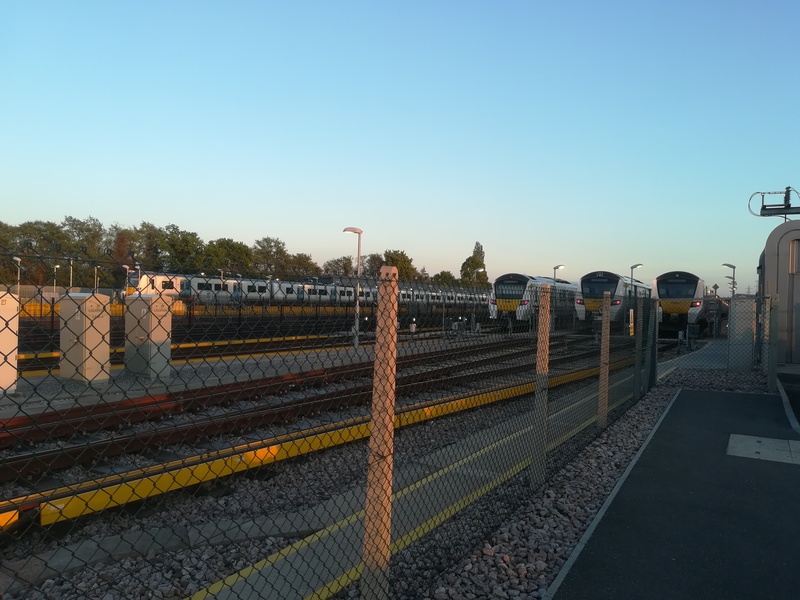 Blue, Orange and Red Six spent an amazing evening at the Govia Thameslink Depot at Three Bridges. 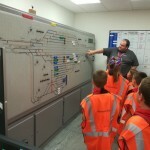 It is (most) boys (perhaps, to be totally politically correct I should also add “and some girls”?!) 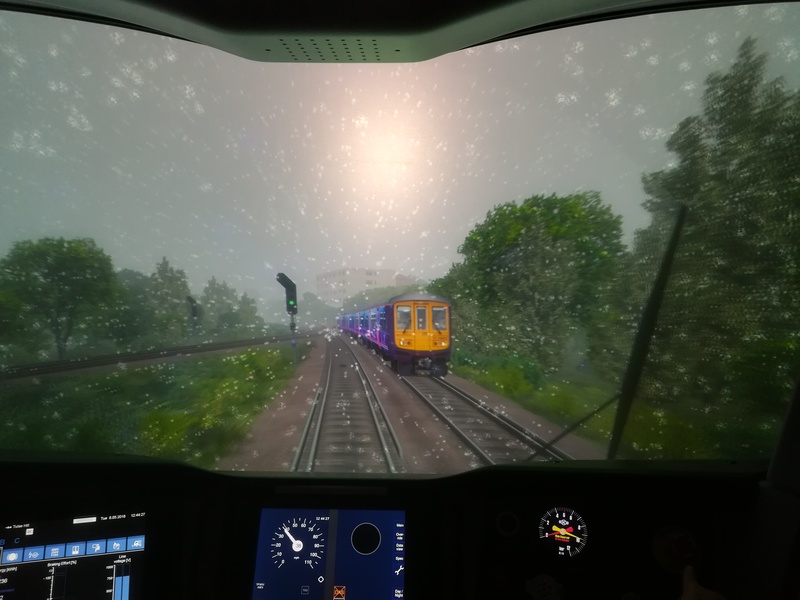 dream (and certainly mine!) 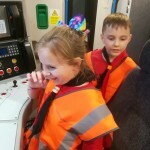 at an early age to be a train driver. 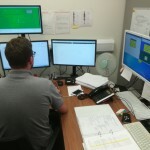 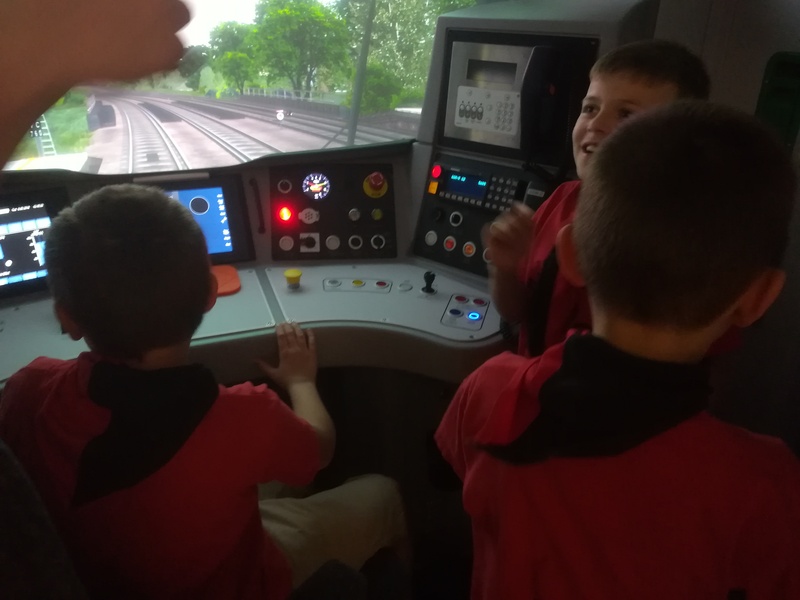 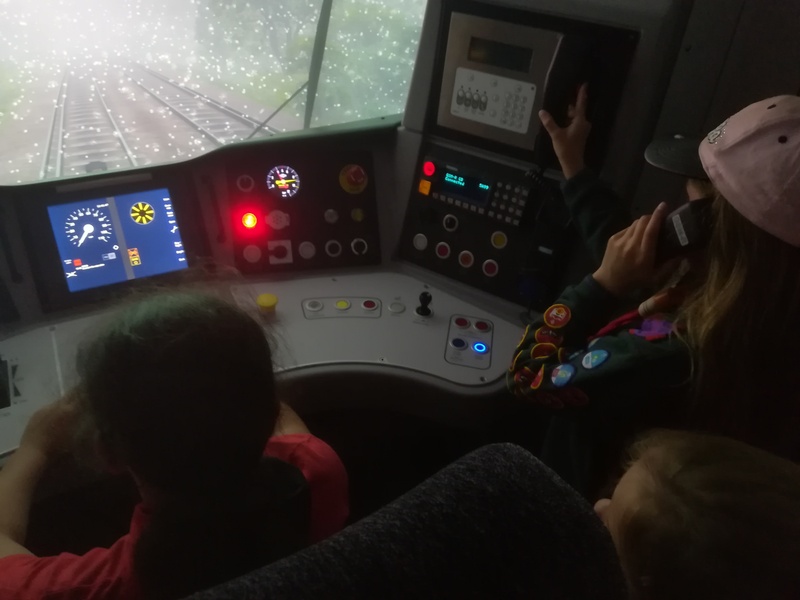 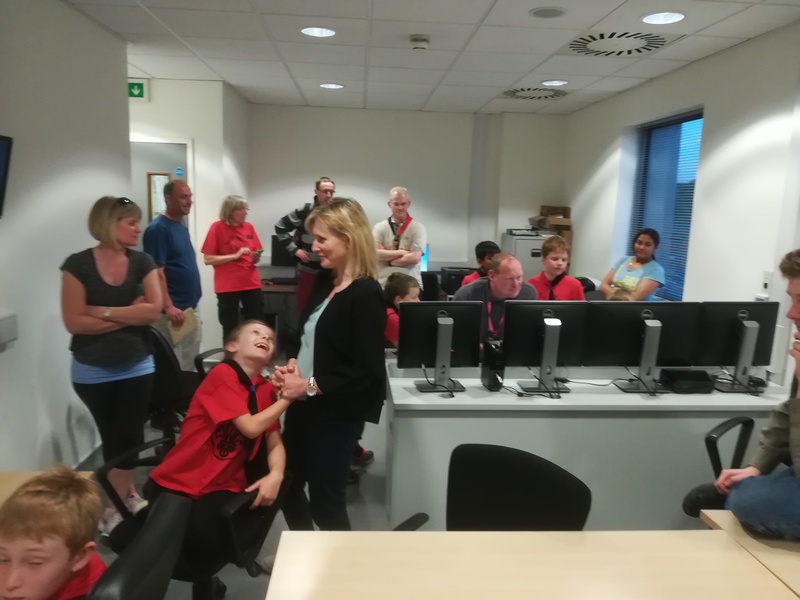 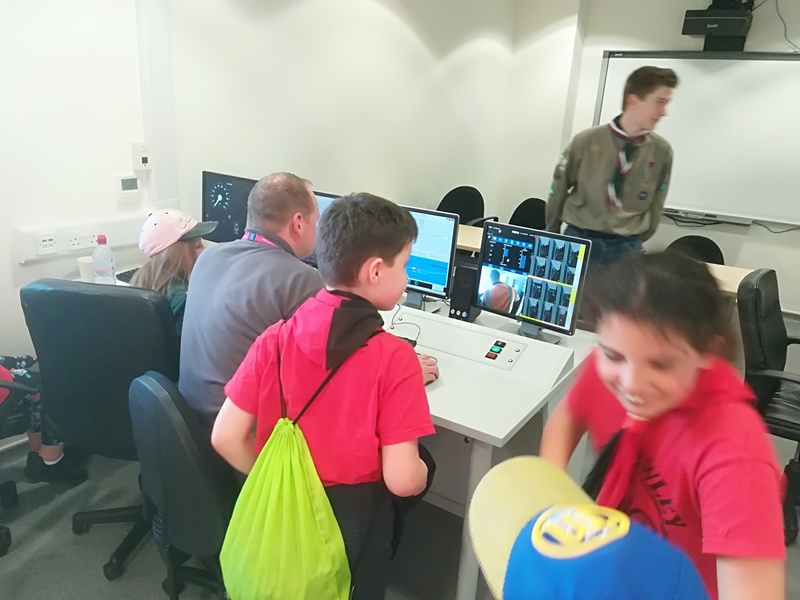 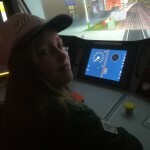 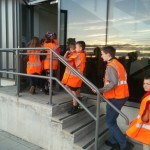 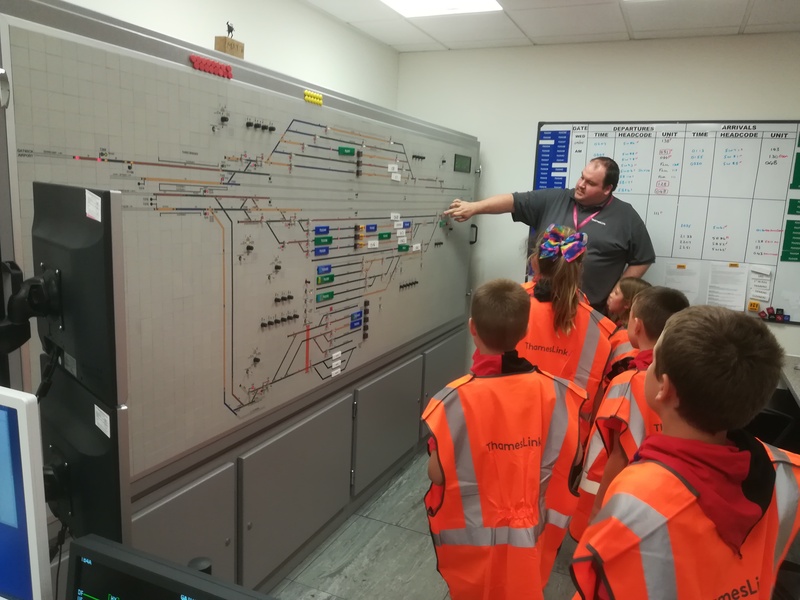 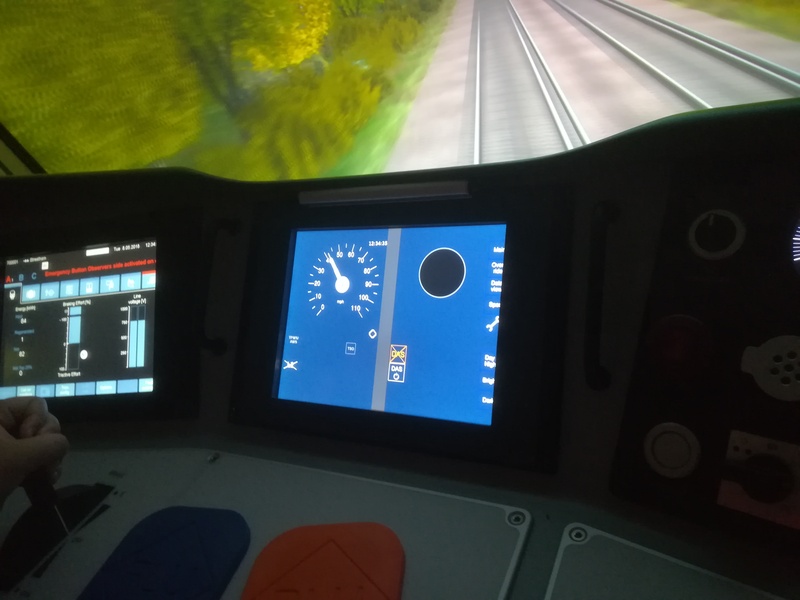 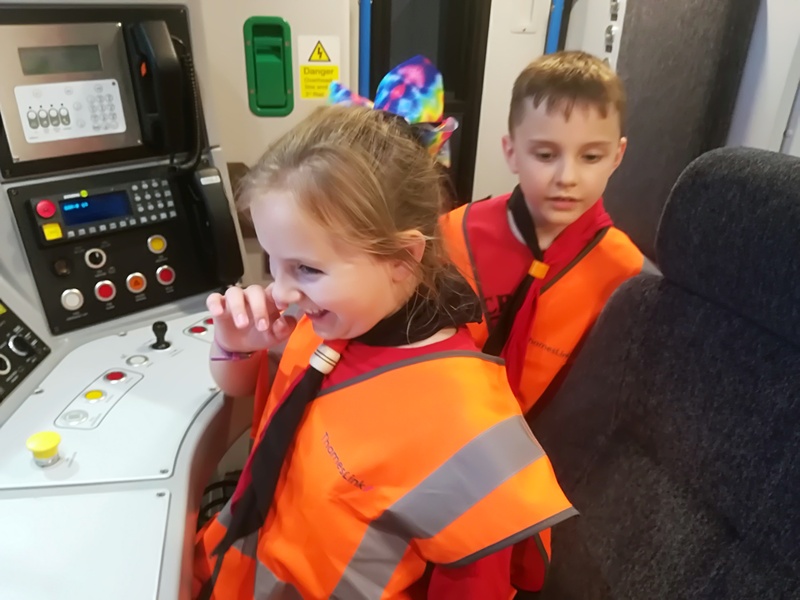 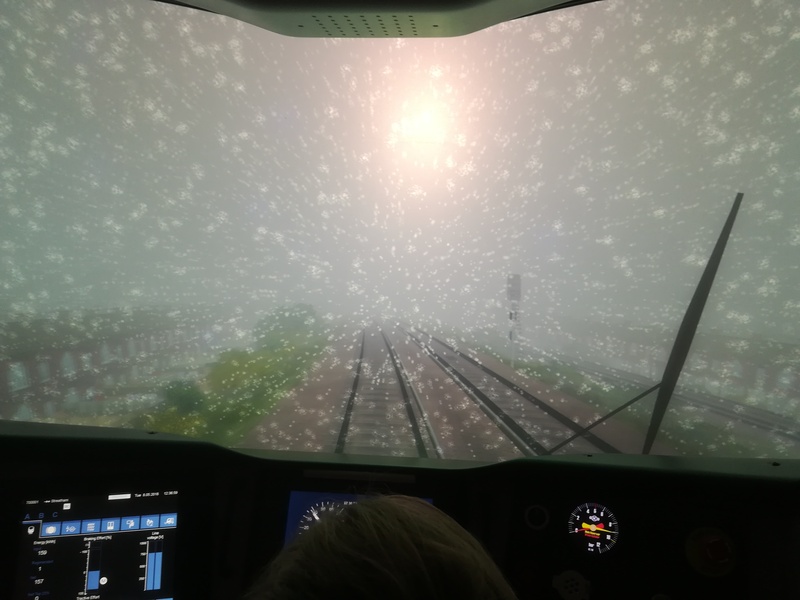 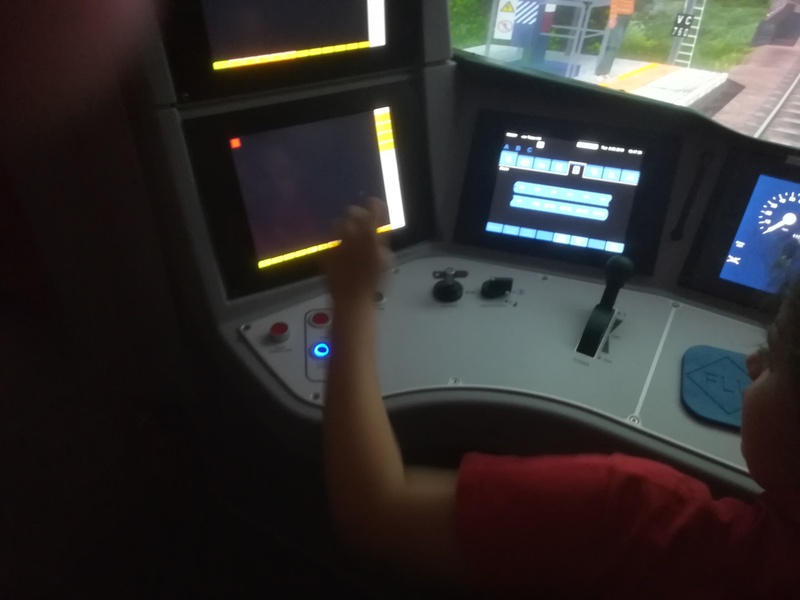 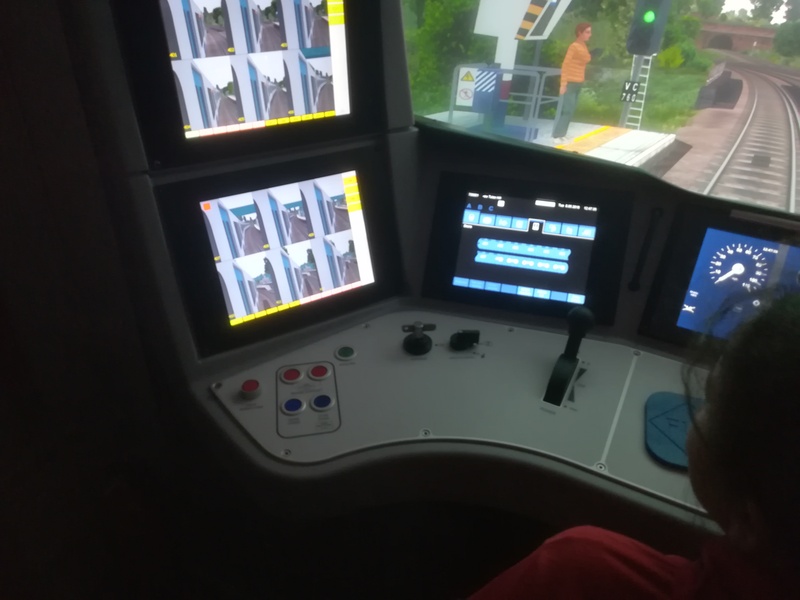 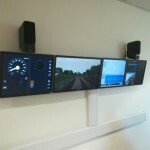 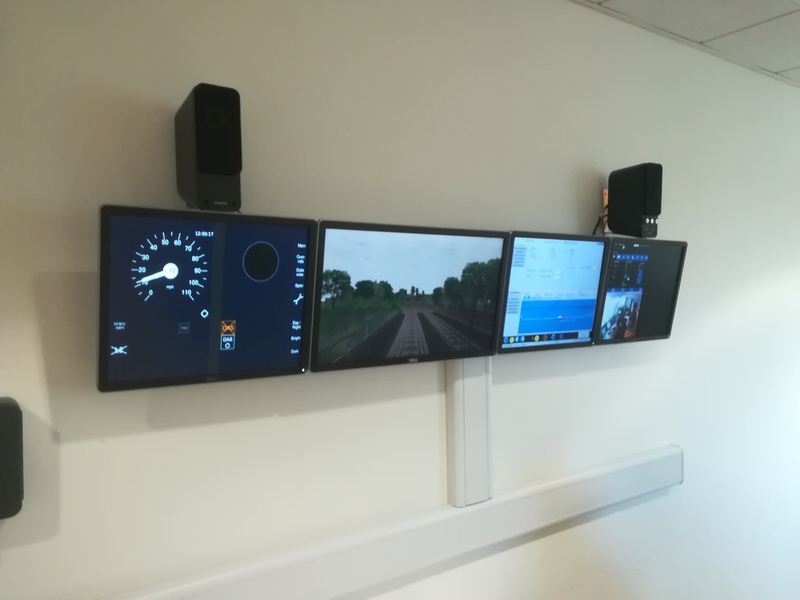 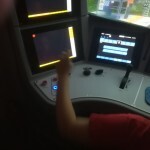 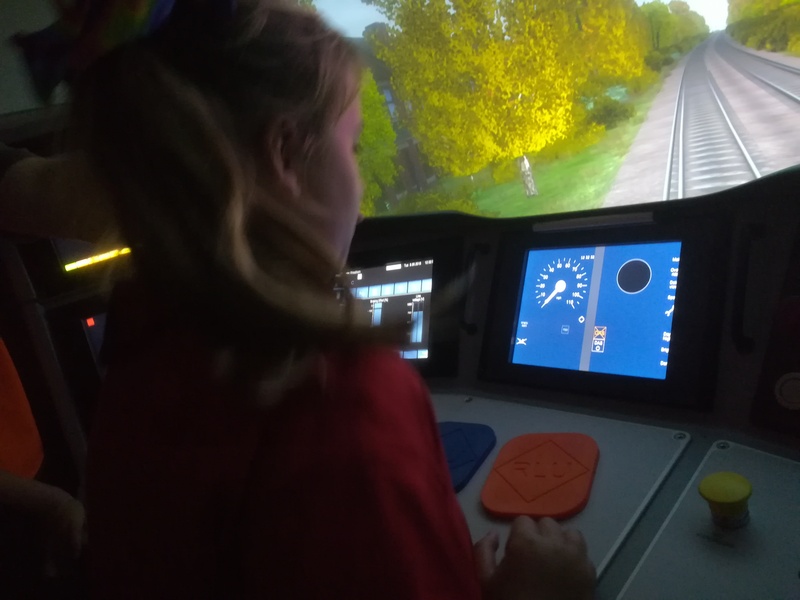 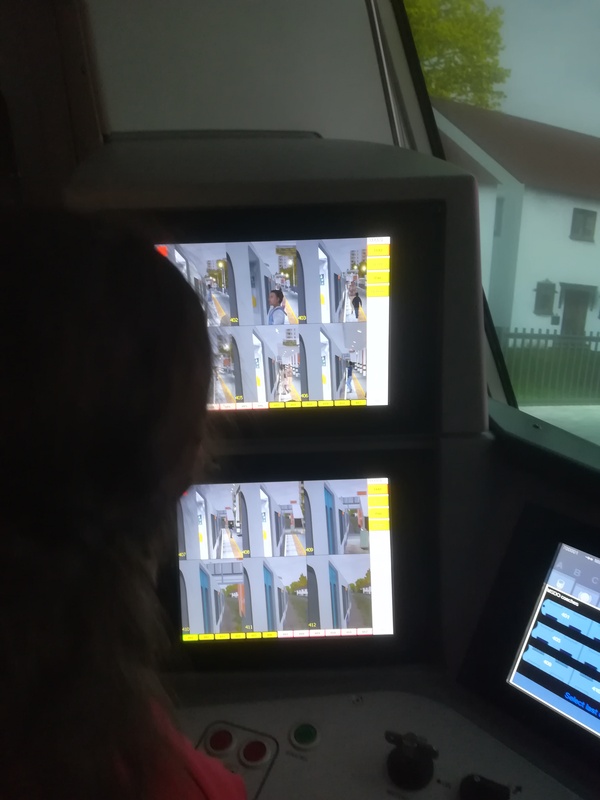 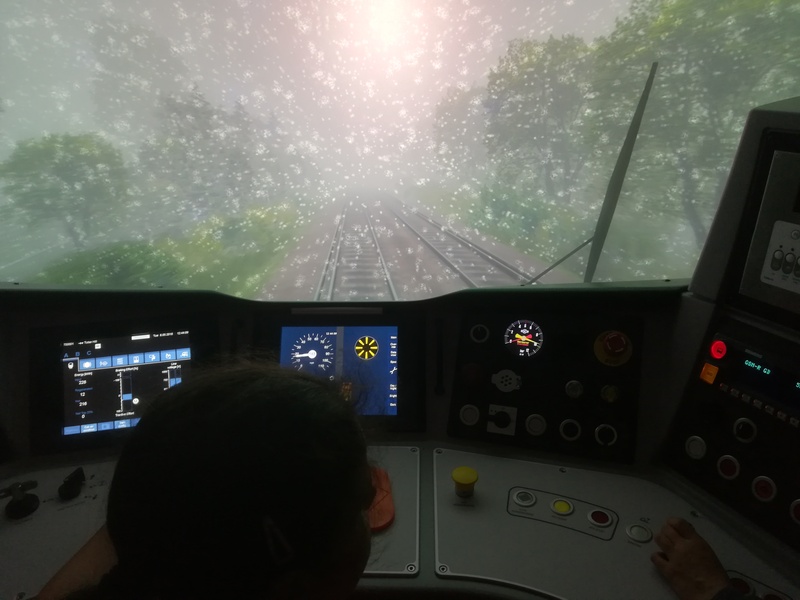 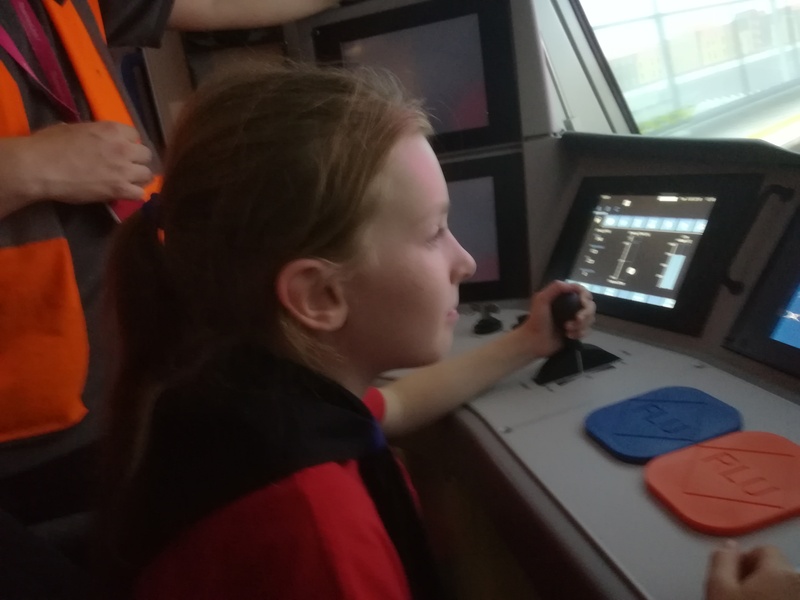 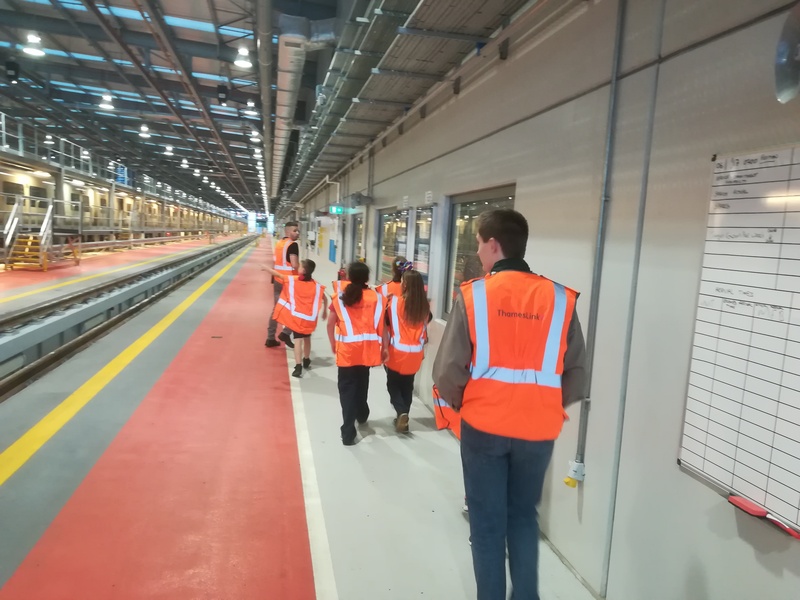 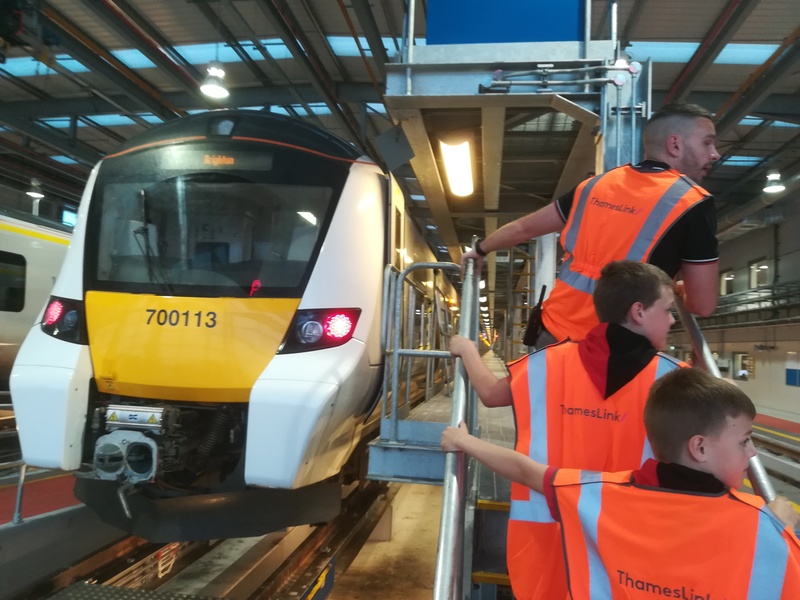 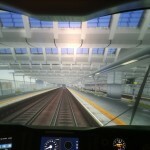 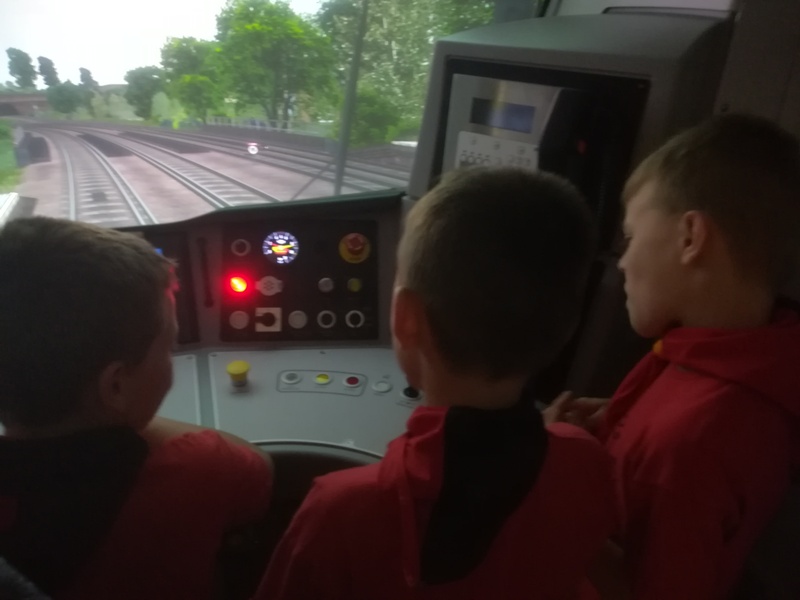 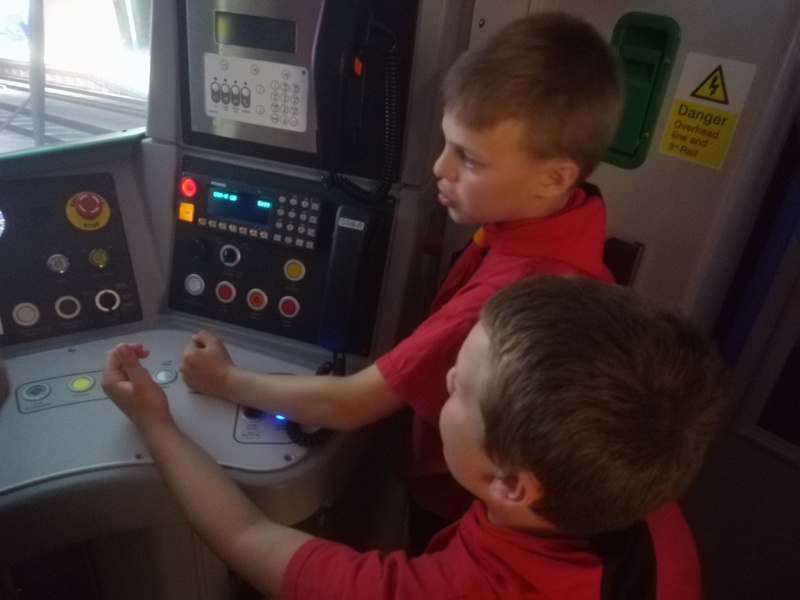 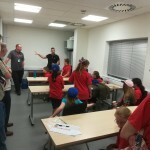 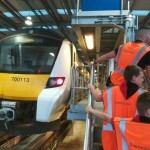 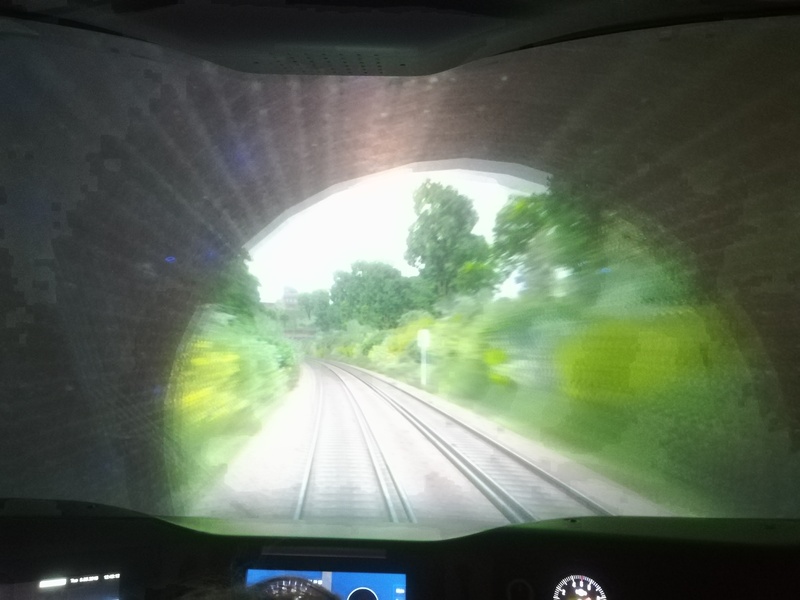 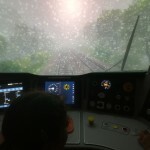 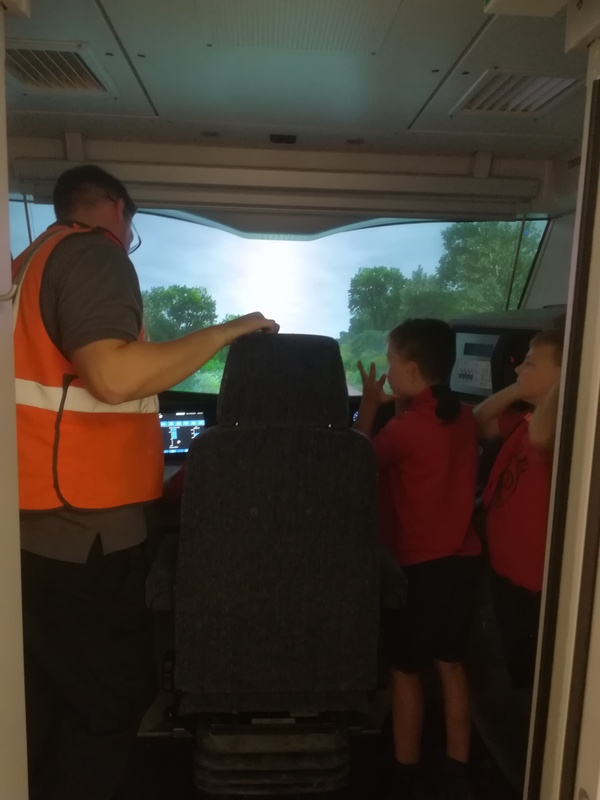 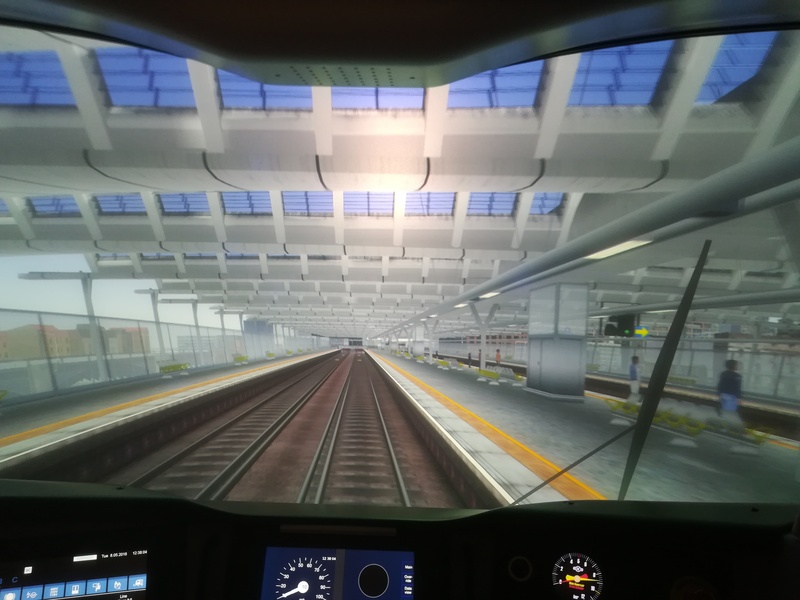 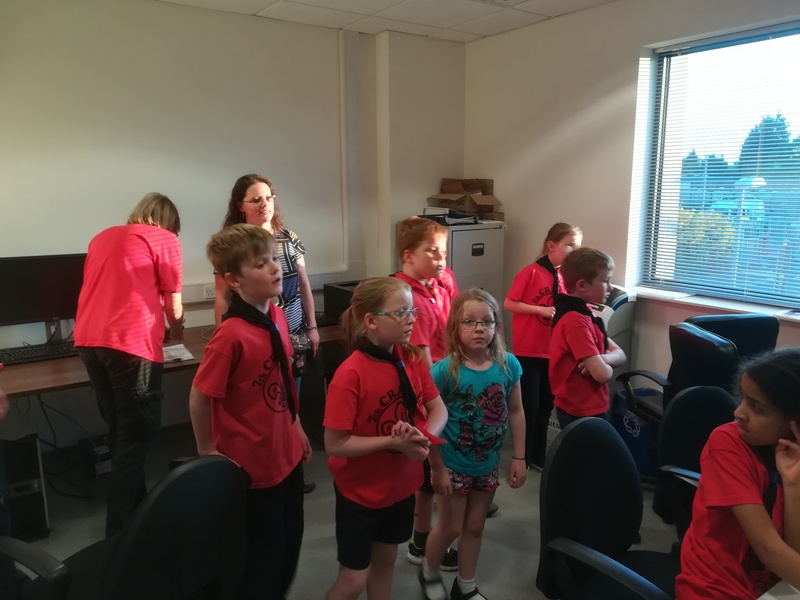 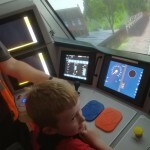 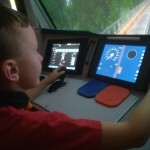 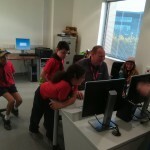 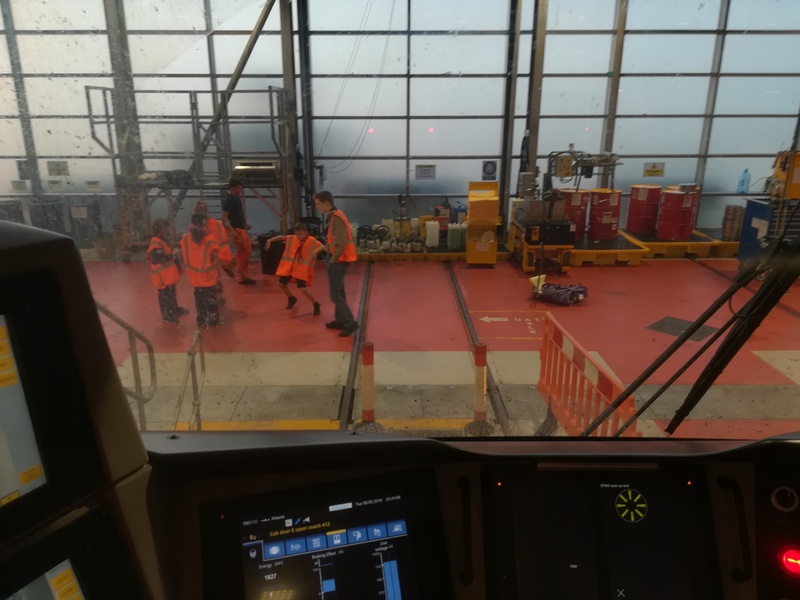 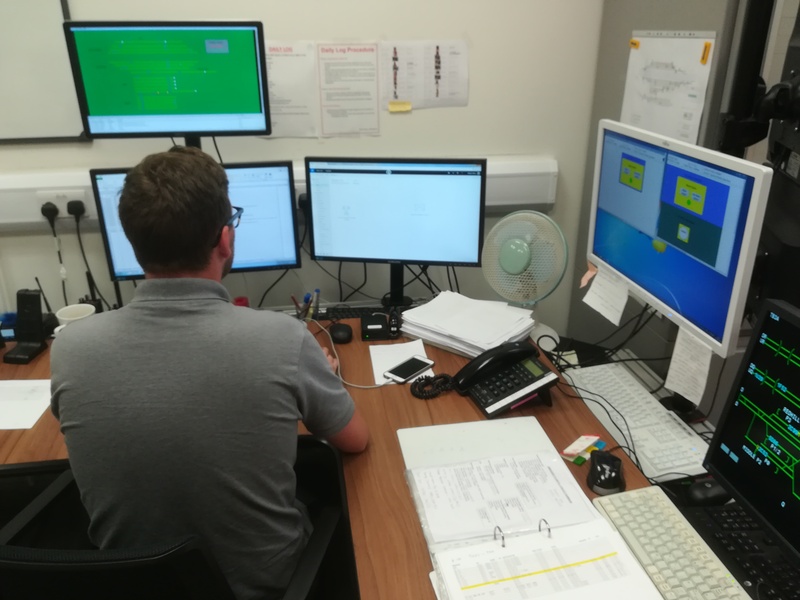 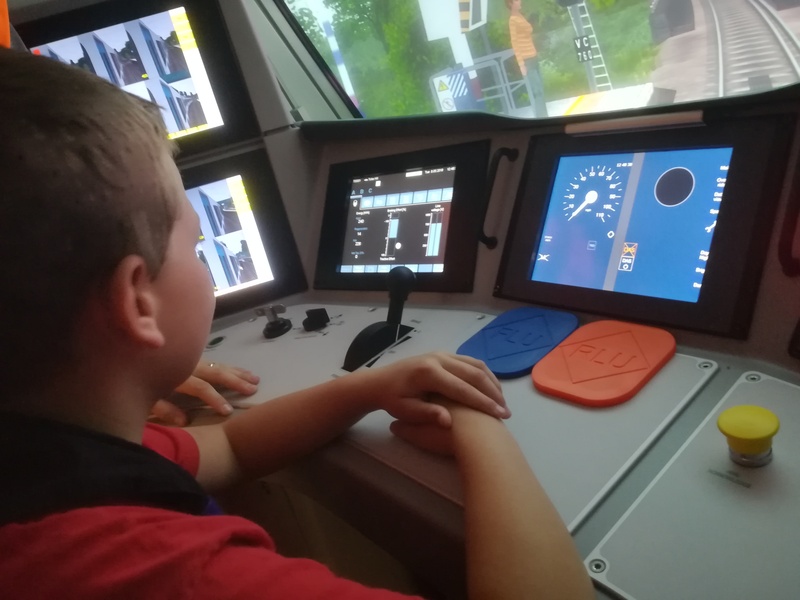 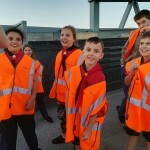 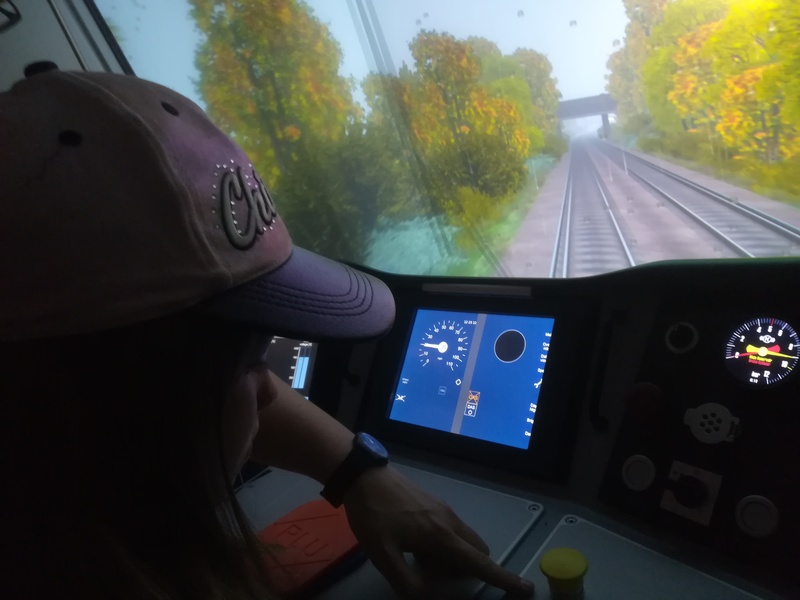 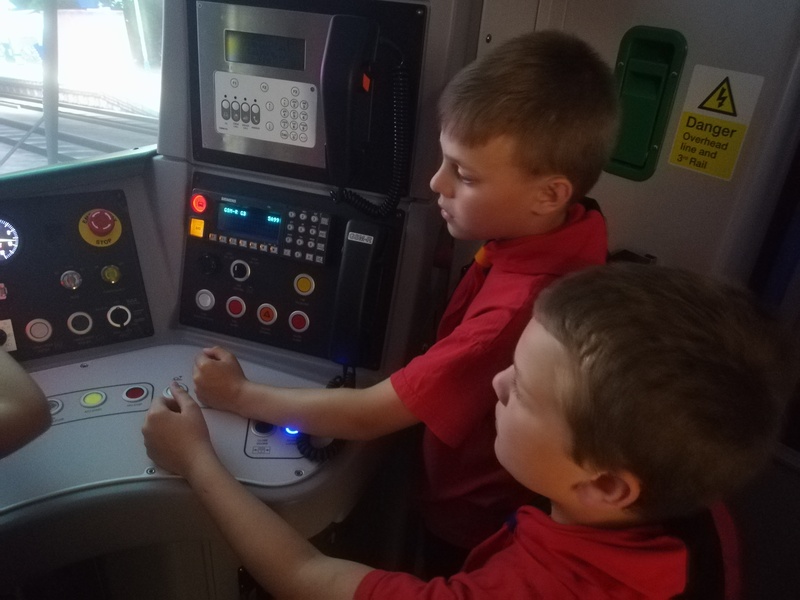 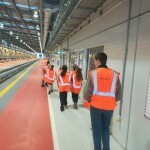 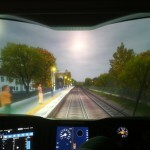 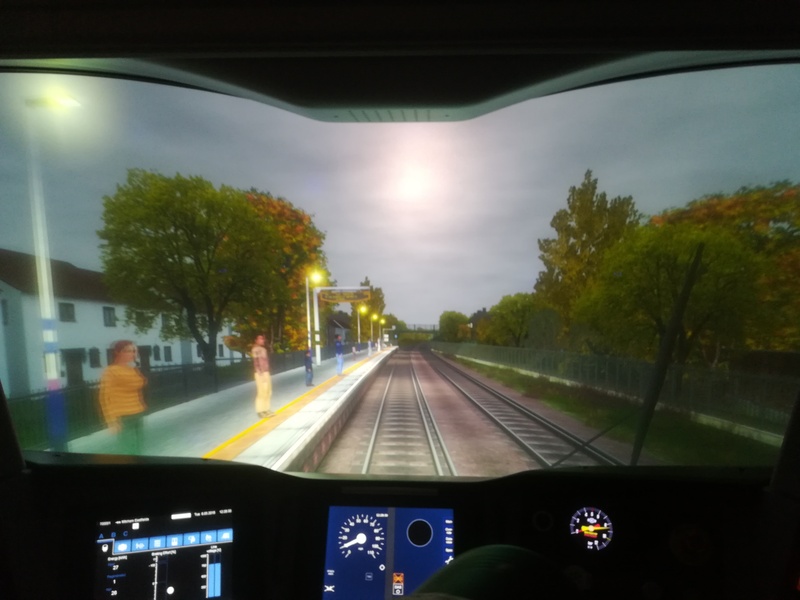 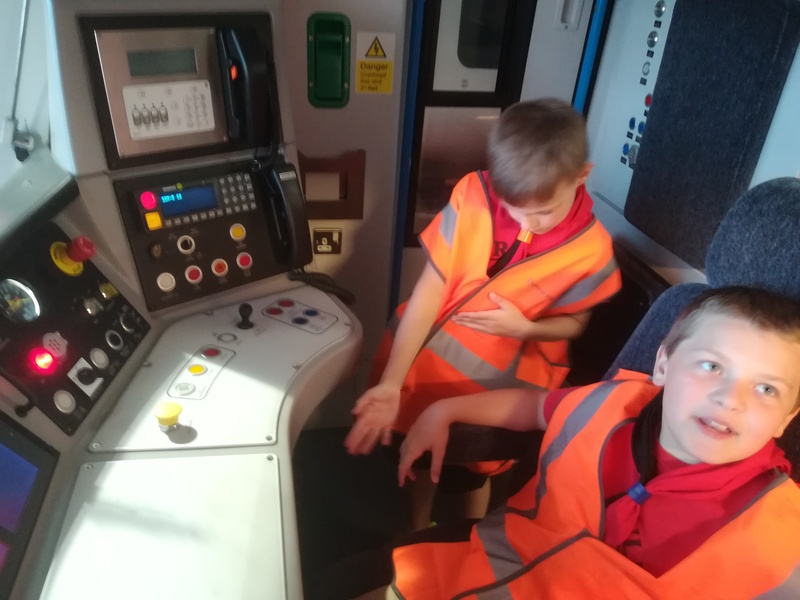 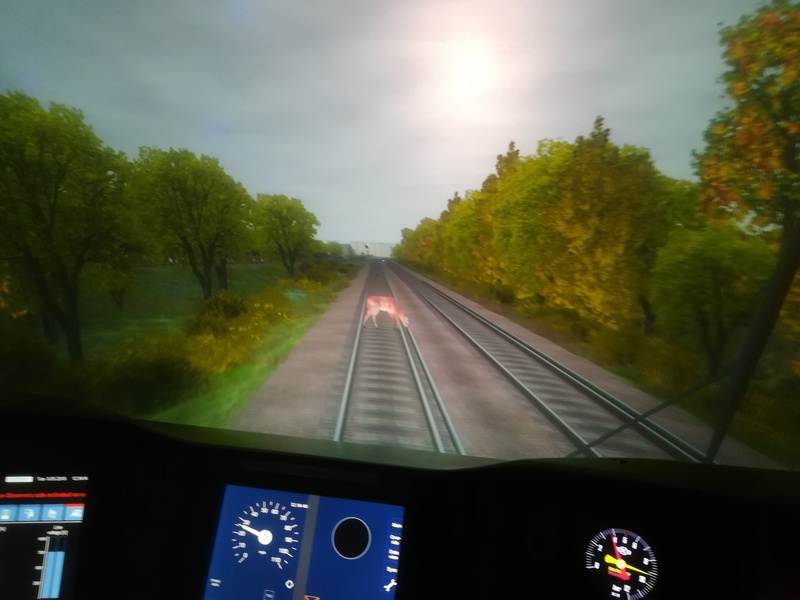 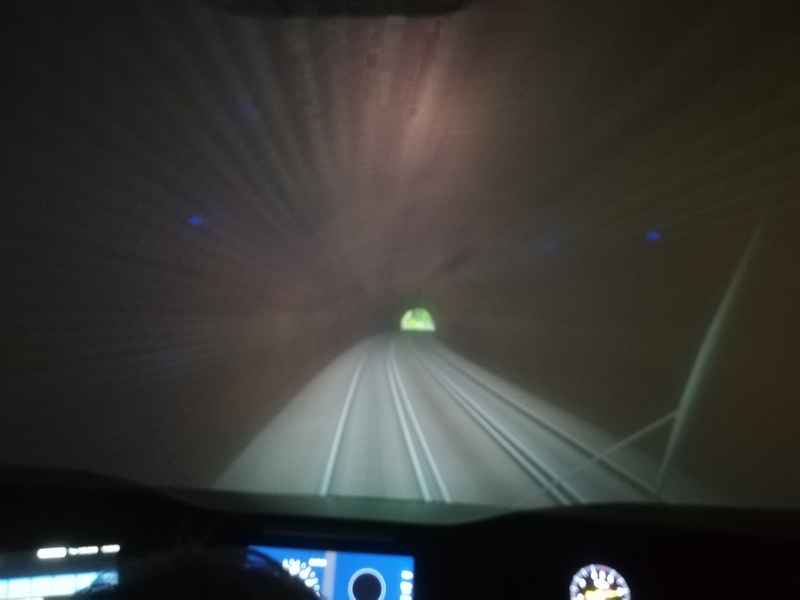 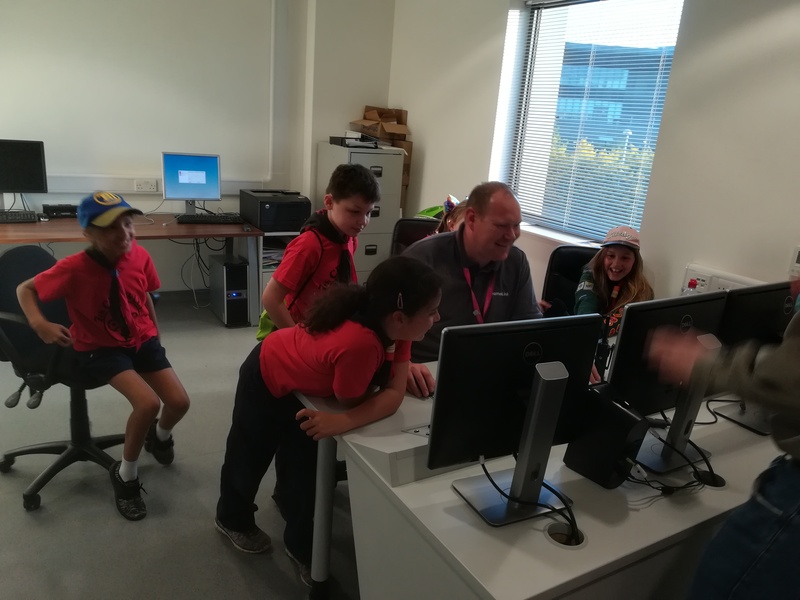 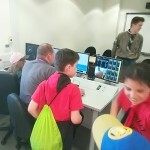 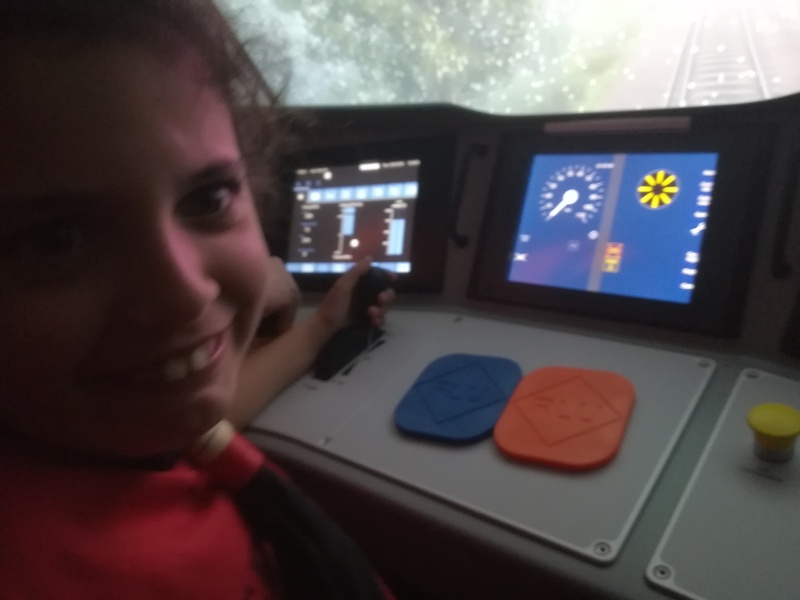 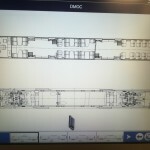 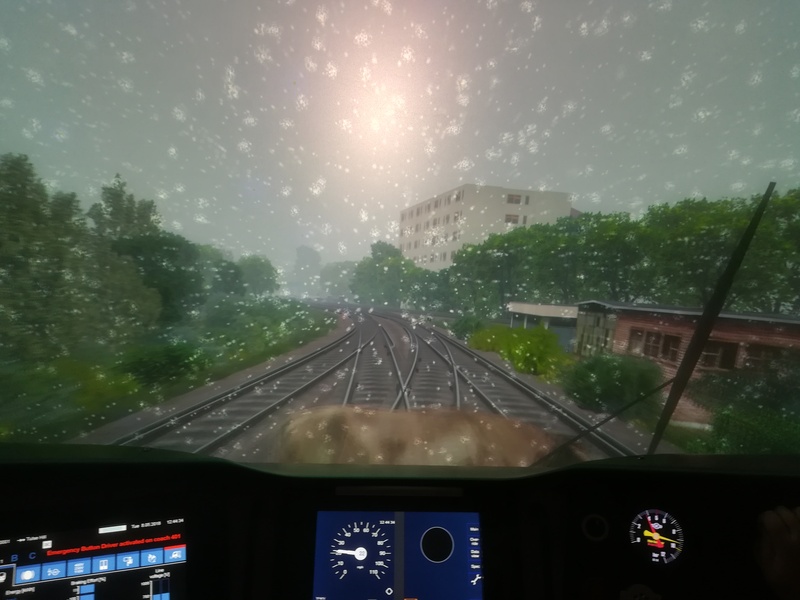 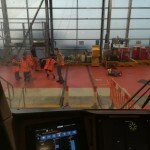 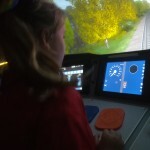 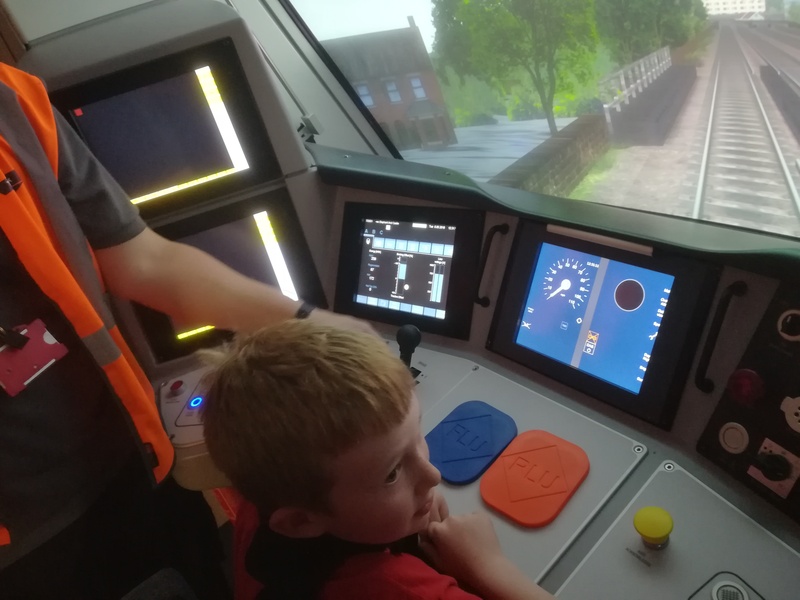 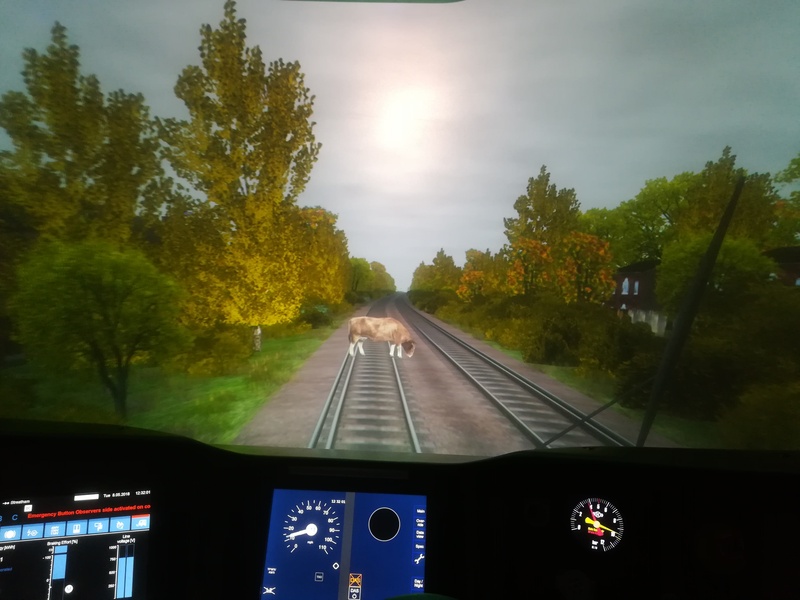 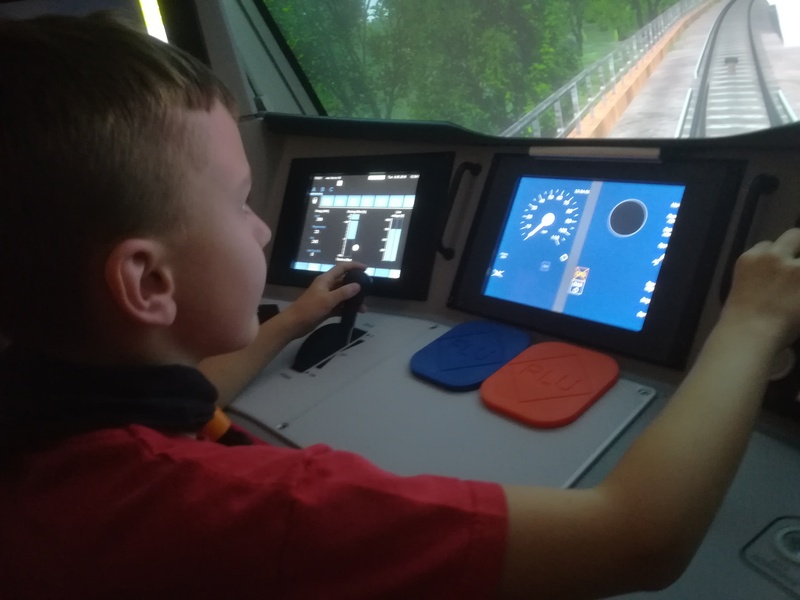 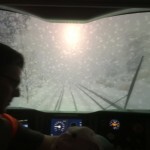 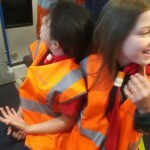 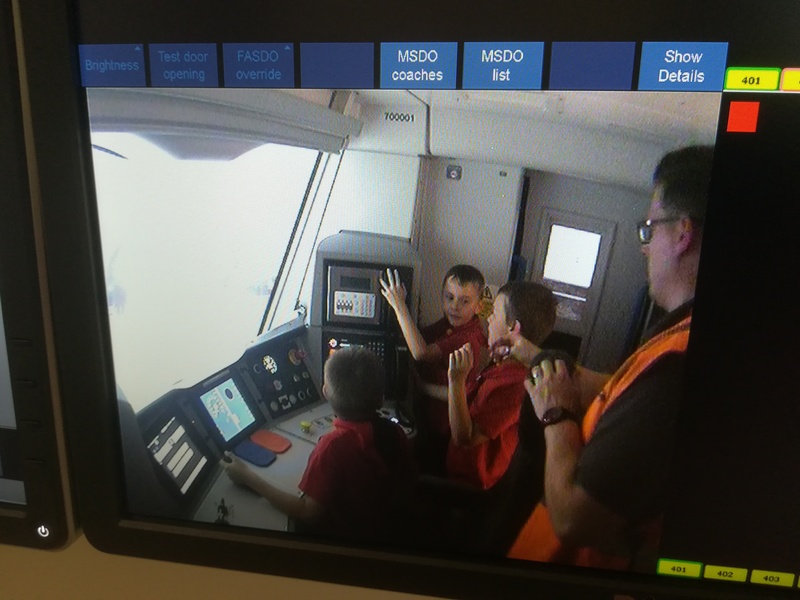 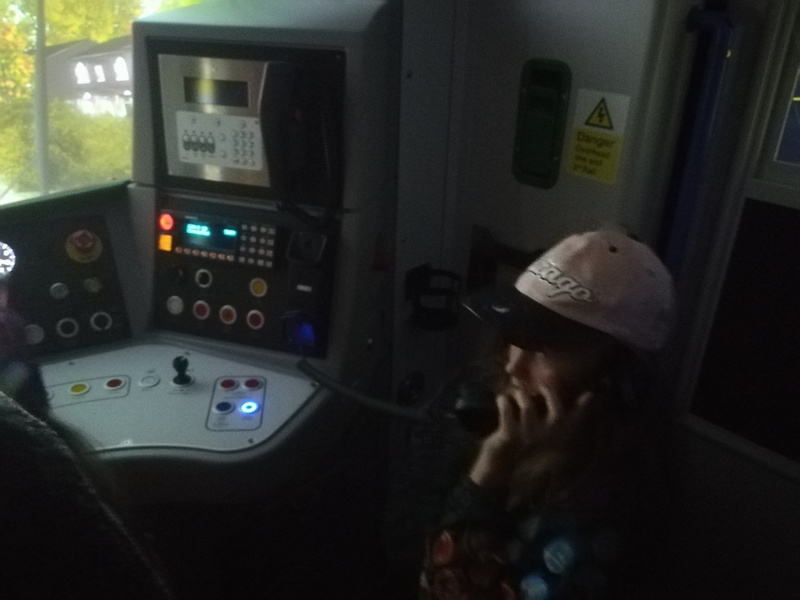 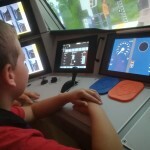 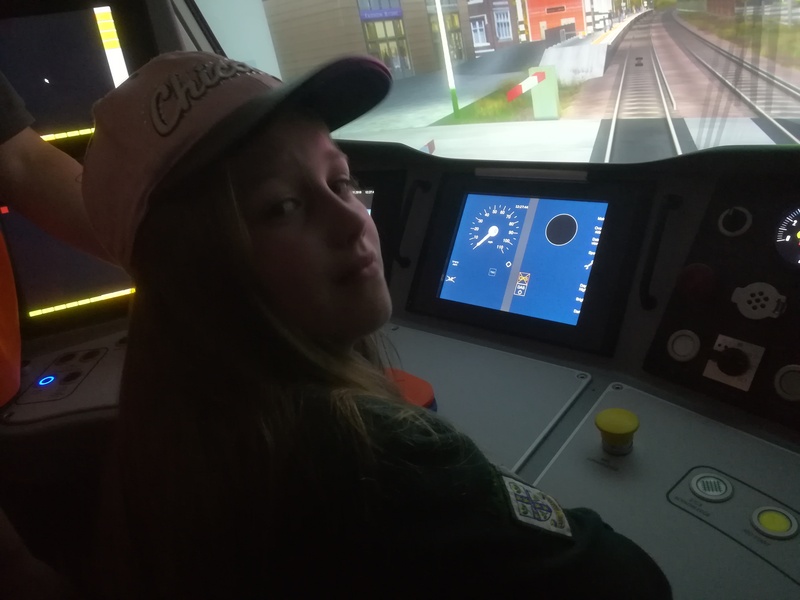 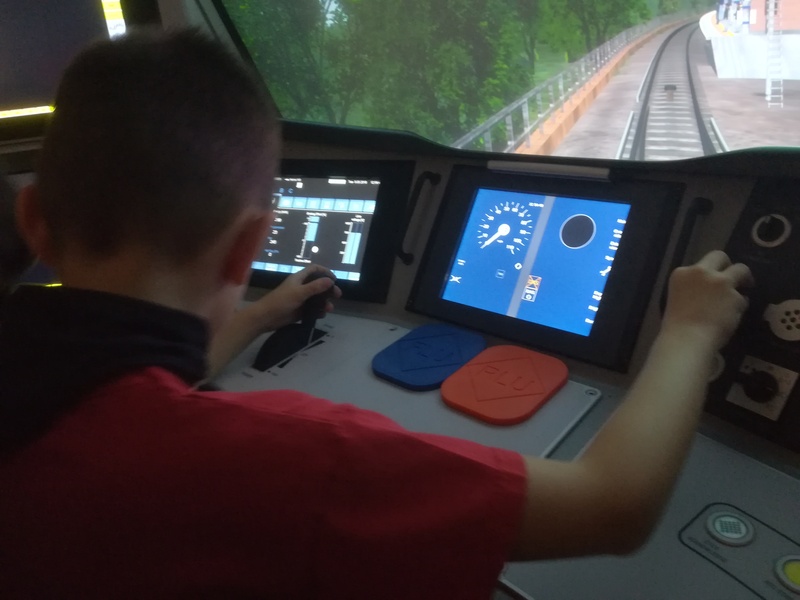 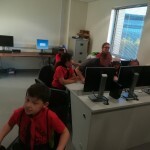 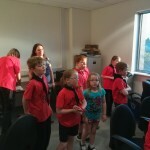 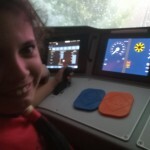 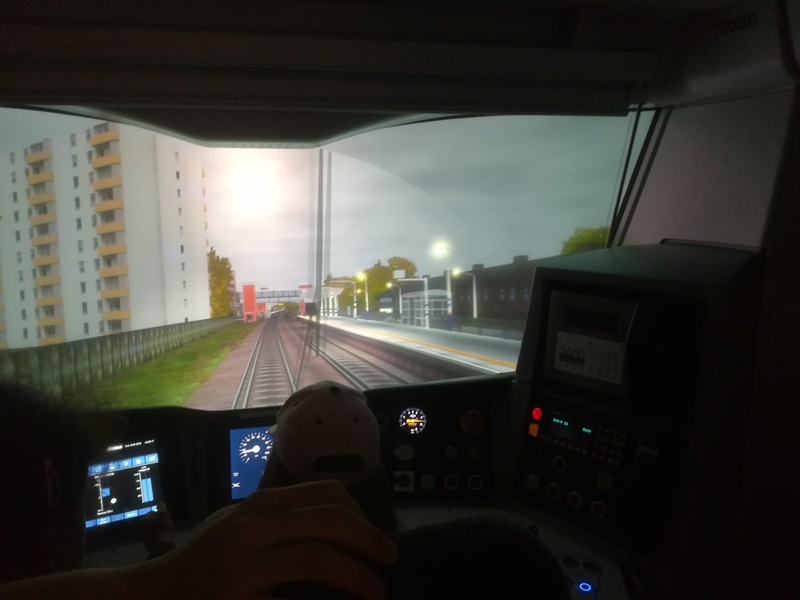 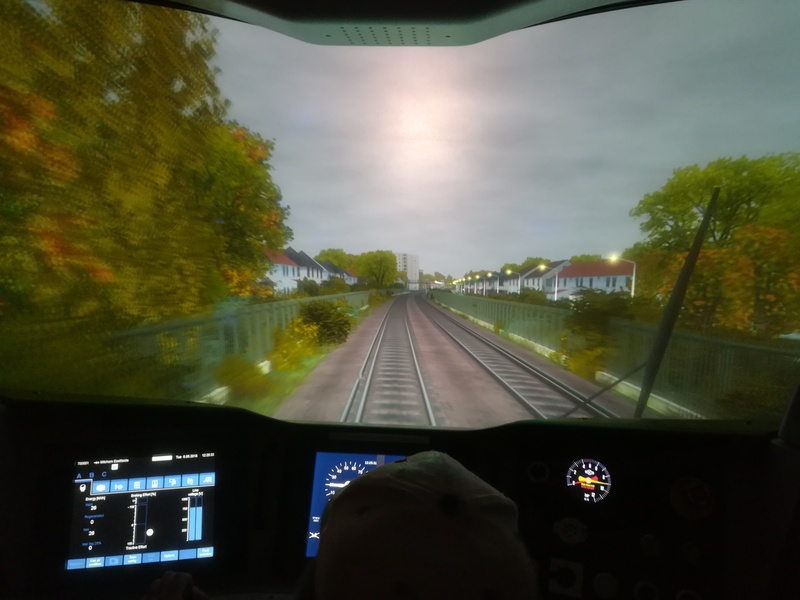 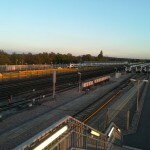 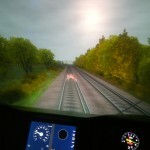 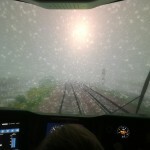 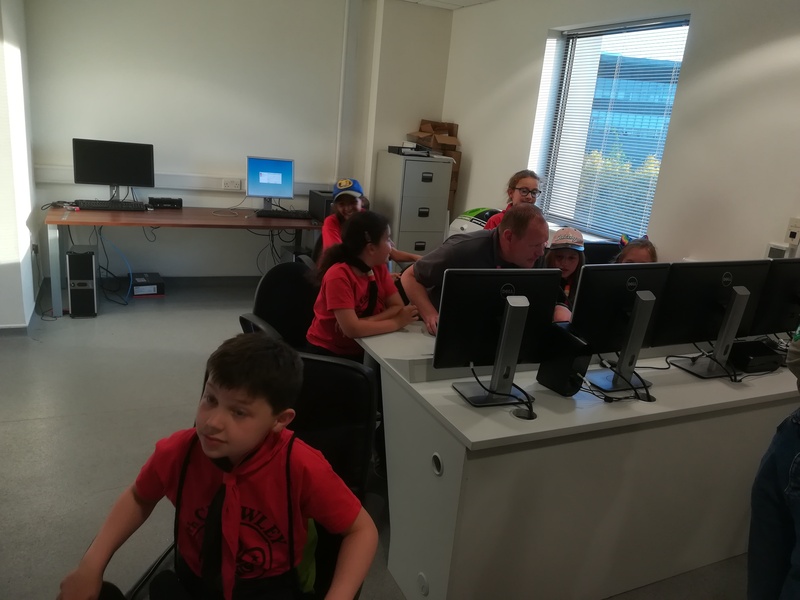 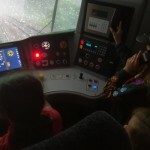 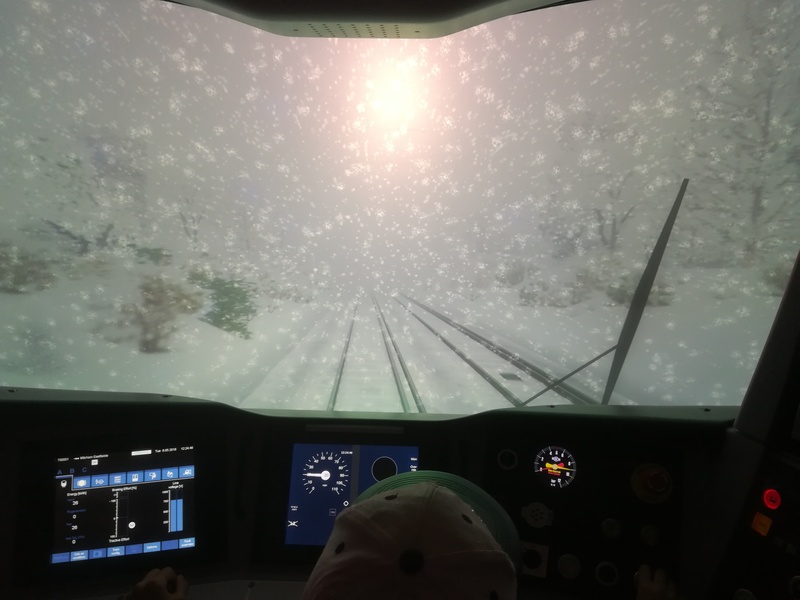 The Cubs had a go at the next best thing – a real train simulator. 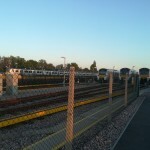 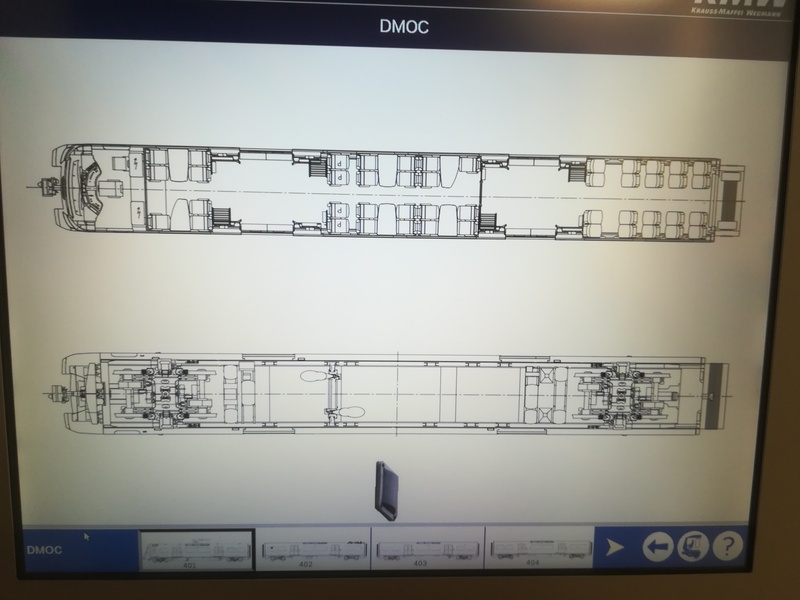 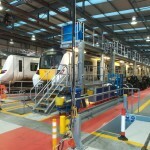 The Depot has one of these really expensive bits of kit that they use to train (!) 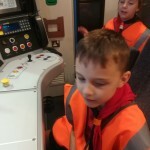 train drivers and the Cubs were given carte blanch to actually drive their own train along the track from Crawley up to Blackfriars. 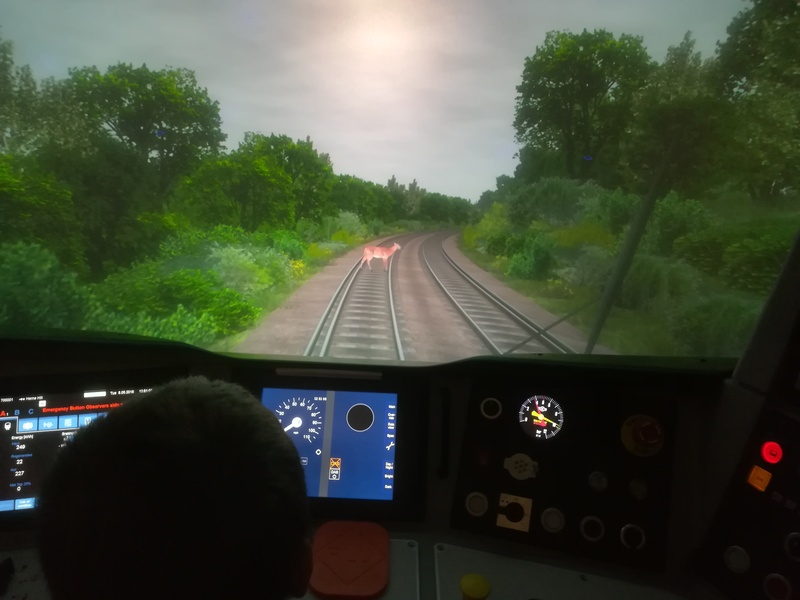 As you will see from the photographs the simulated background and visuals were incredible realistic and the Cubs had everything thrown at them (not literally I’m pleased to say!) 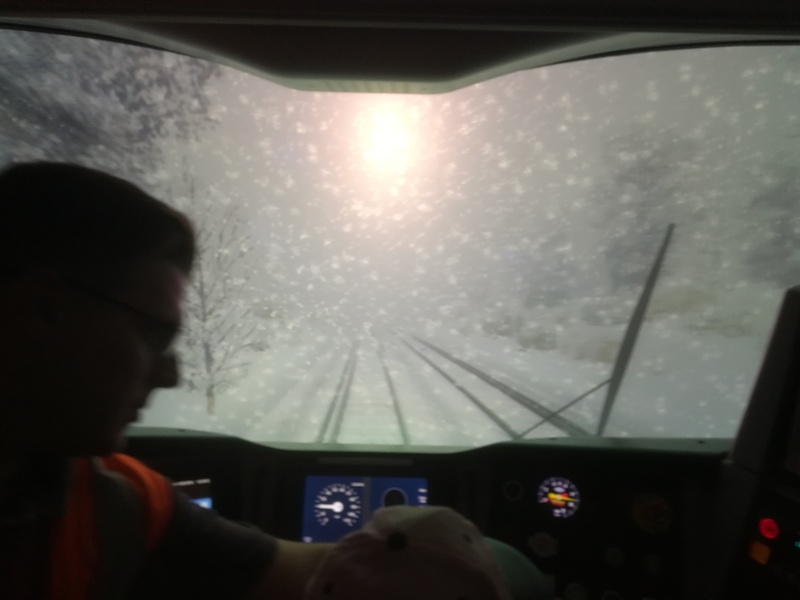 from cows on the line, to over zealous passengers waiting at the various stations, to Rain, sleet, snow, heavy snow, even heavier snow and sunshine. 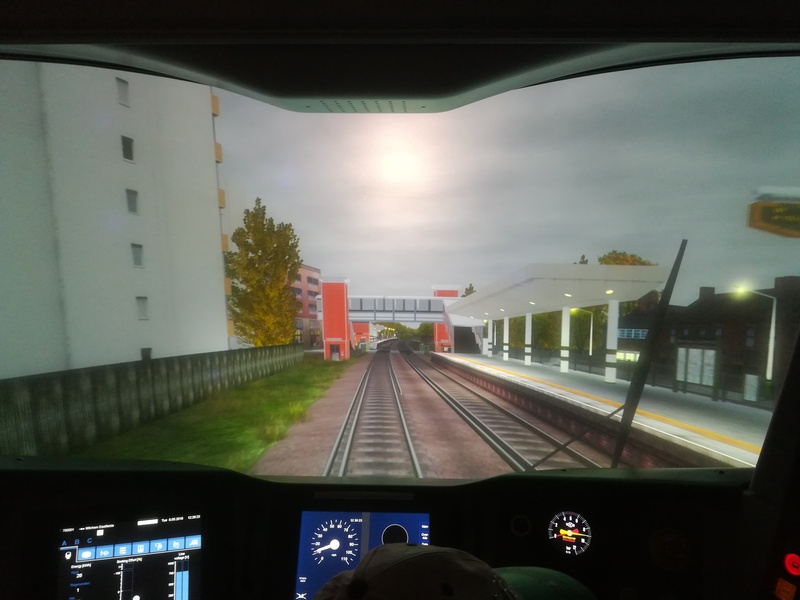 Windscreen wipers, horn blowing and door opening (once at a station of course) also added to the realism. 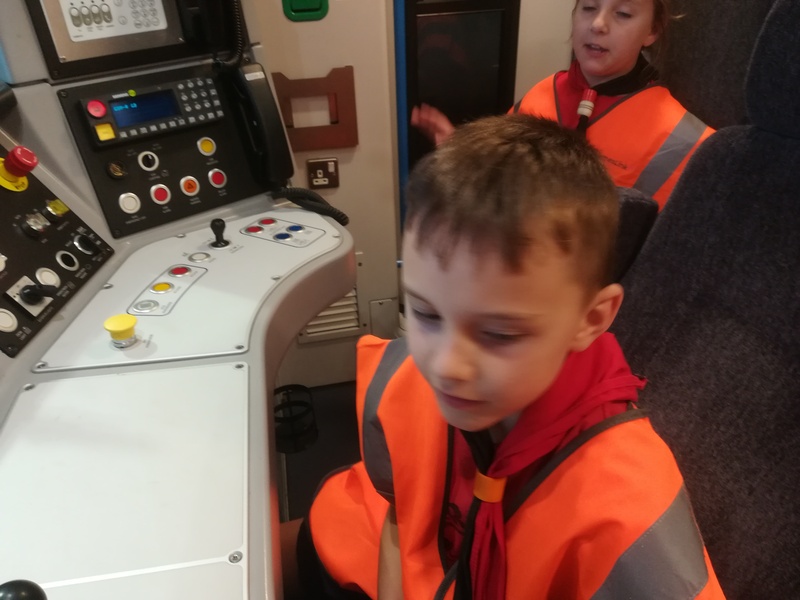 The Cubs also had a chance to walk around just a small part of the huge complex and were given the opportunity of sitting in a cab of one of the real trains – with the brakes firmly in place! 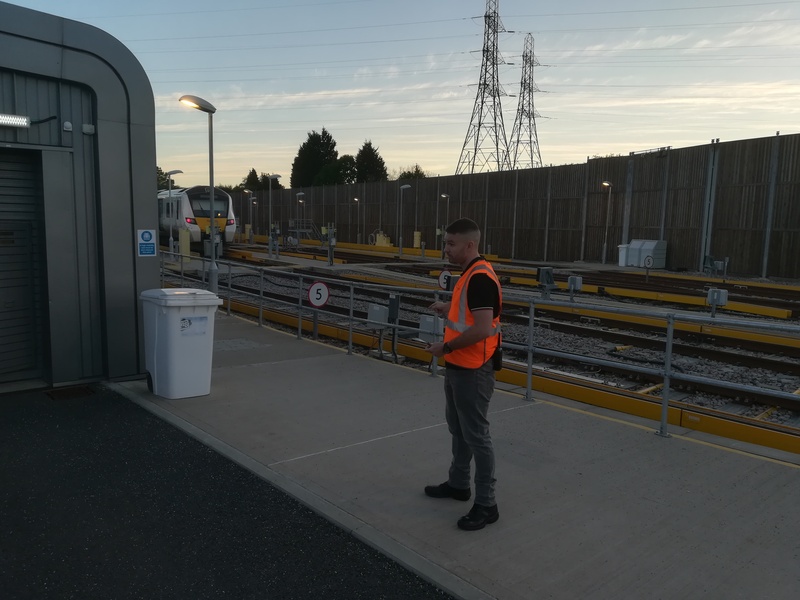 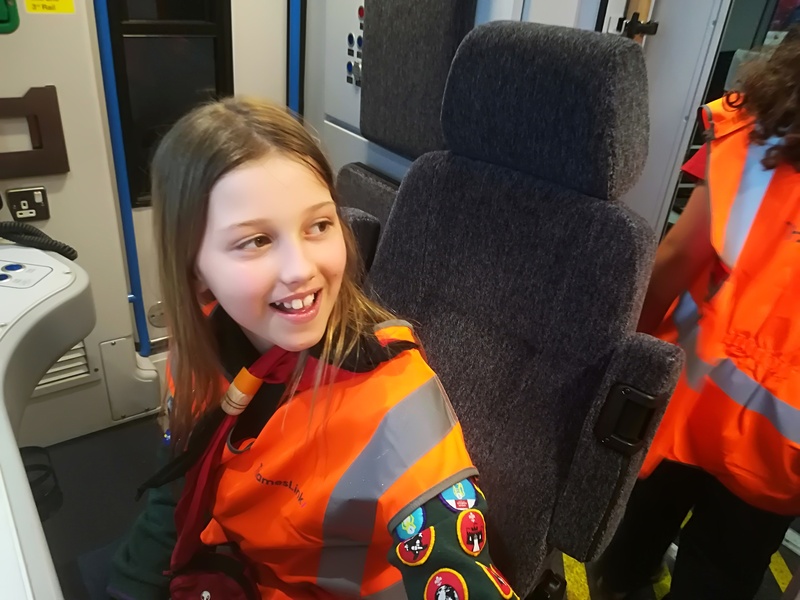 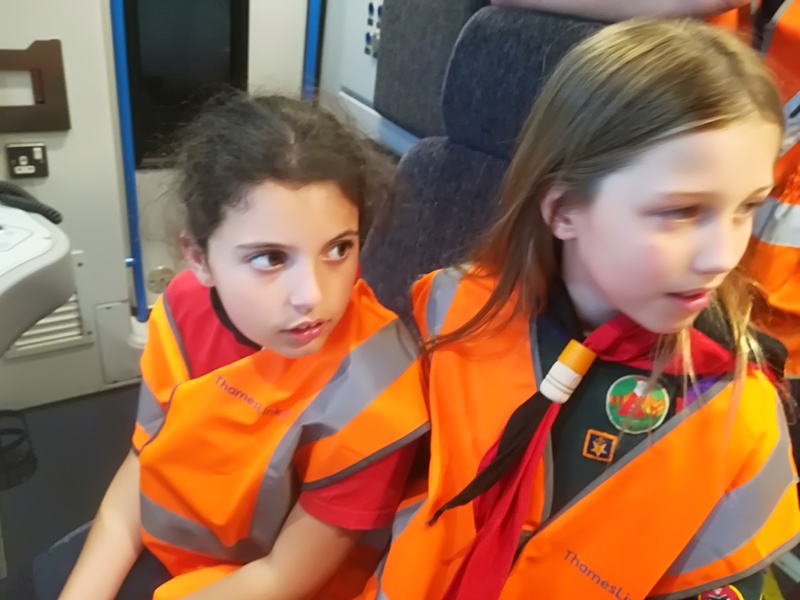 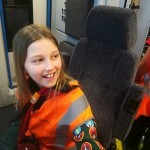 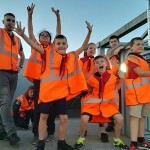 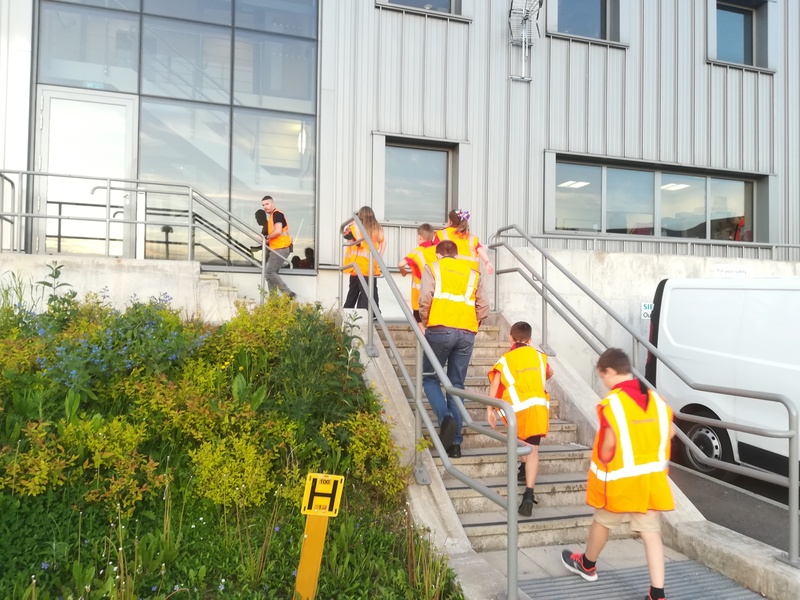 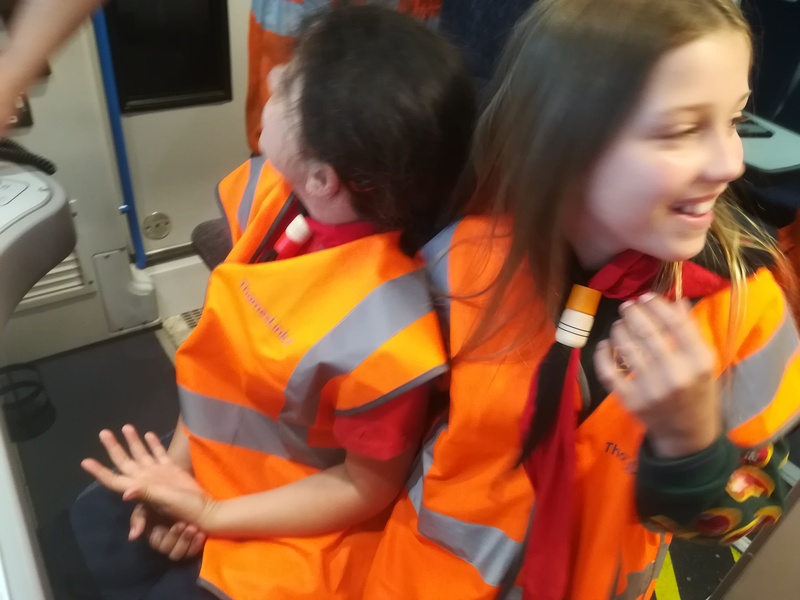 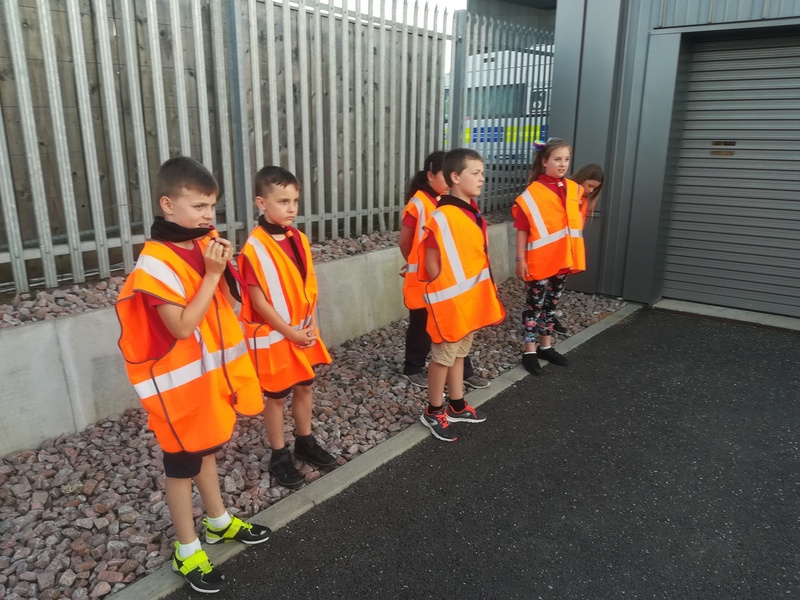 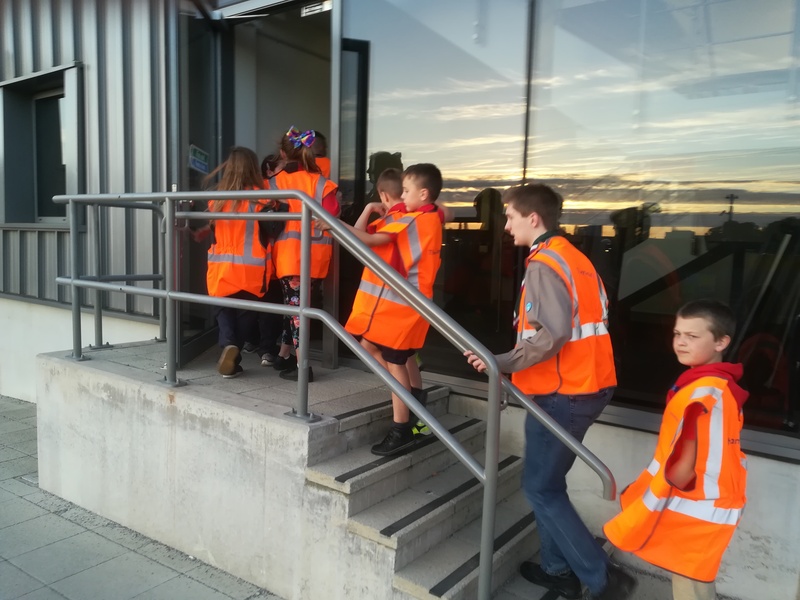 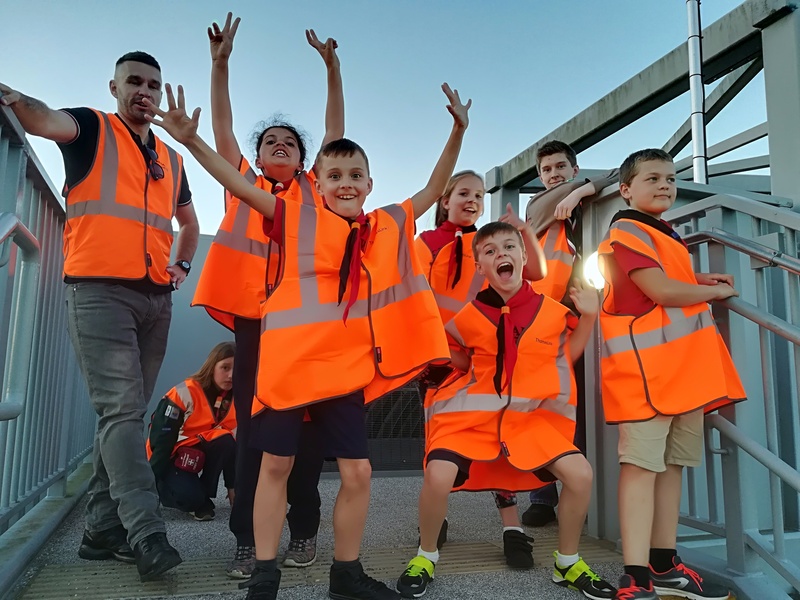 We also had a safety talk and the Cubs were very attentive as to the important issues and dangers of being on and around trains and especially electricity and the “third rail”. 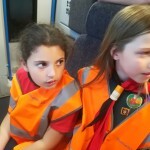 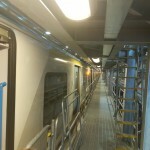 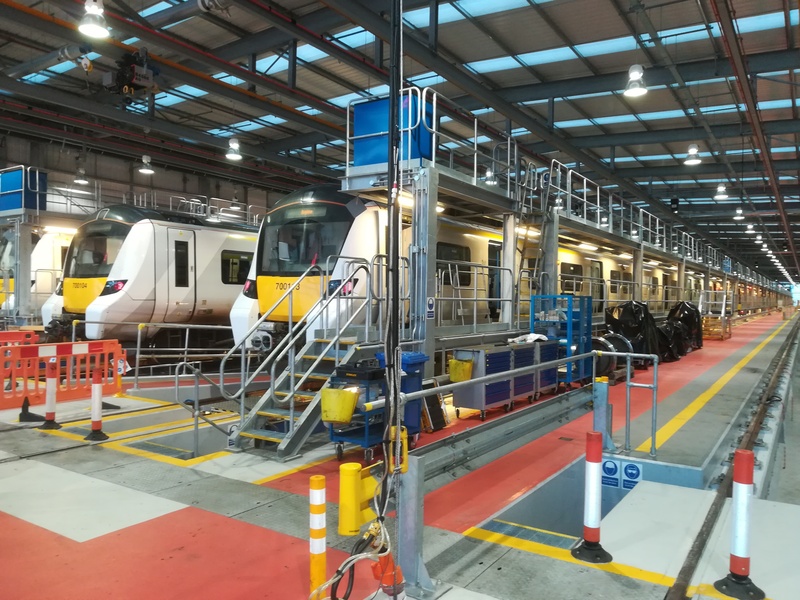 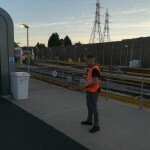 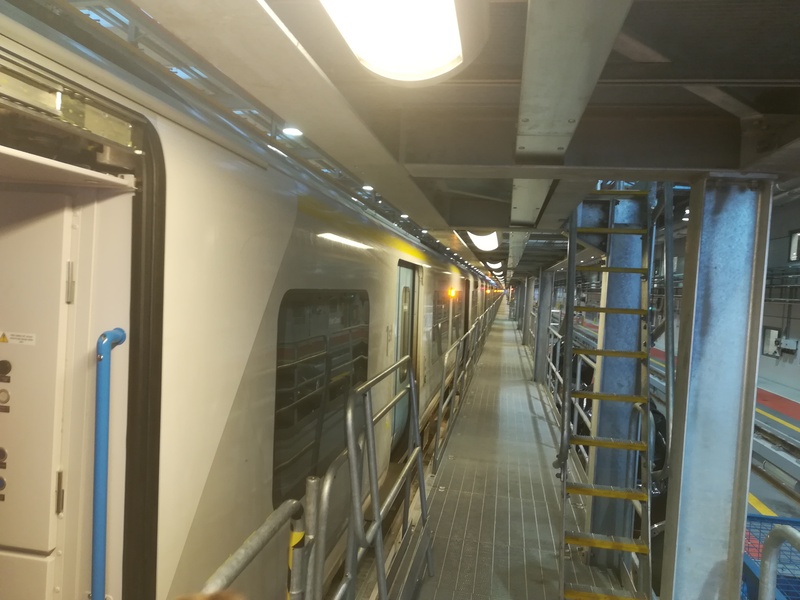 My sincere thanks to Matt, Gareth, Ash and the rest of the team at Govia for giving the cubs such a marvellous time and I hope that I have wetted the appetites of Green, White and Yellow six who will be visiting on the 5th June. 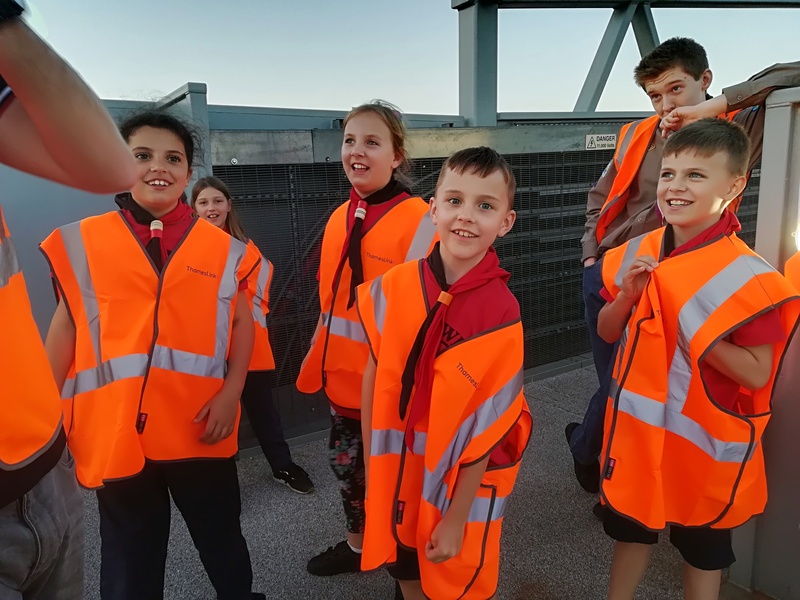 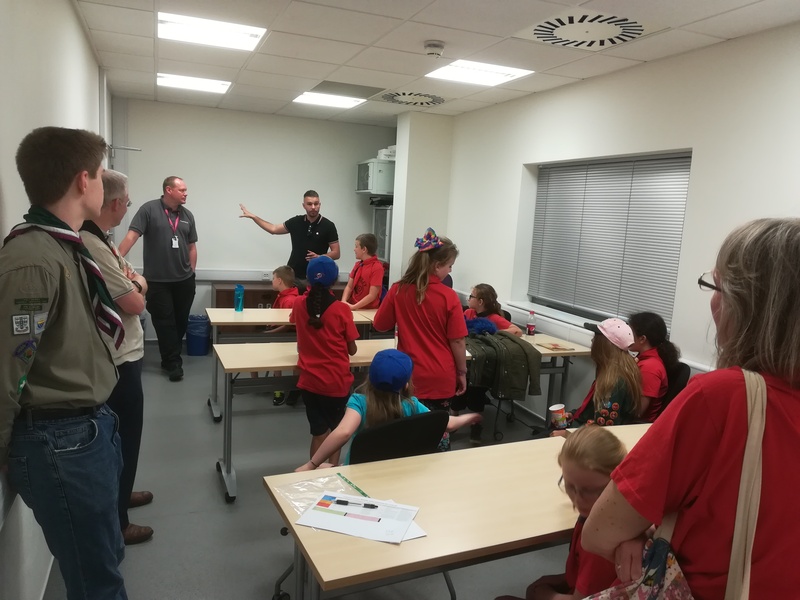 Matt appeared to be very impressed by the Cubs who attended last night and I am hoping to announce some more special news very soon in relation to the Autumn Term.